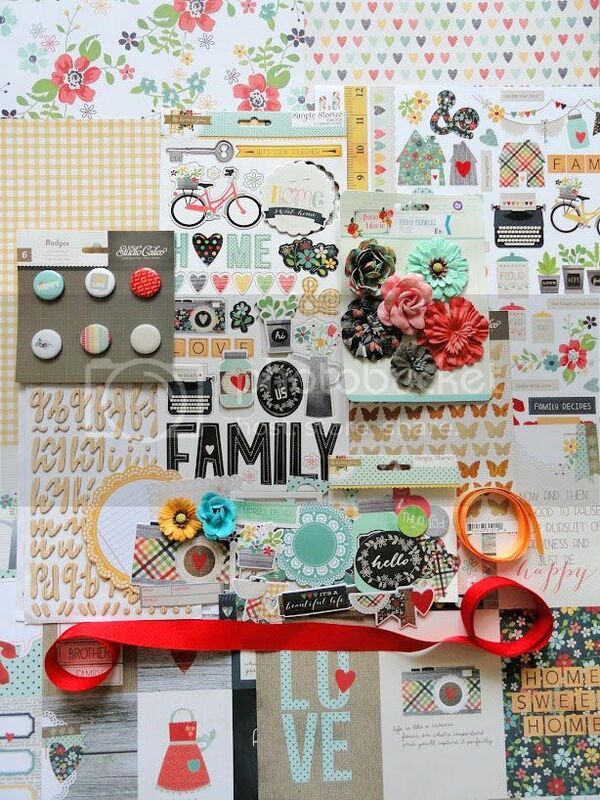 I have a new layout to share for My Creative Scrapbook using the May 2014 Main Kit. This is an older photo that I hadn't scrapped yet, it goes perfectly with the Simple Stories Homespun papers and embellishments in the kit! I made the banner with a mix of stickers and fussy cutting patterned paper, then added in the cute Mickey Mouse heads that I die cut from black cardstock. Here's a look at the May Main Kit, see all the wonderful goodies included! I'll have more layouts to share later this week, as always, thanks for stopping by! Great layout ! I love this banner ! What a cute banner. Funny I was doing Disney pages this weekend and have the almost exact photo. Adorable page - loving that amazing banner! 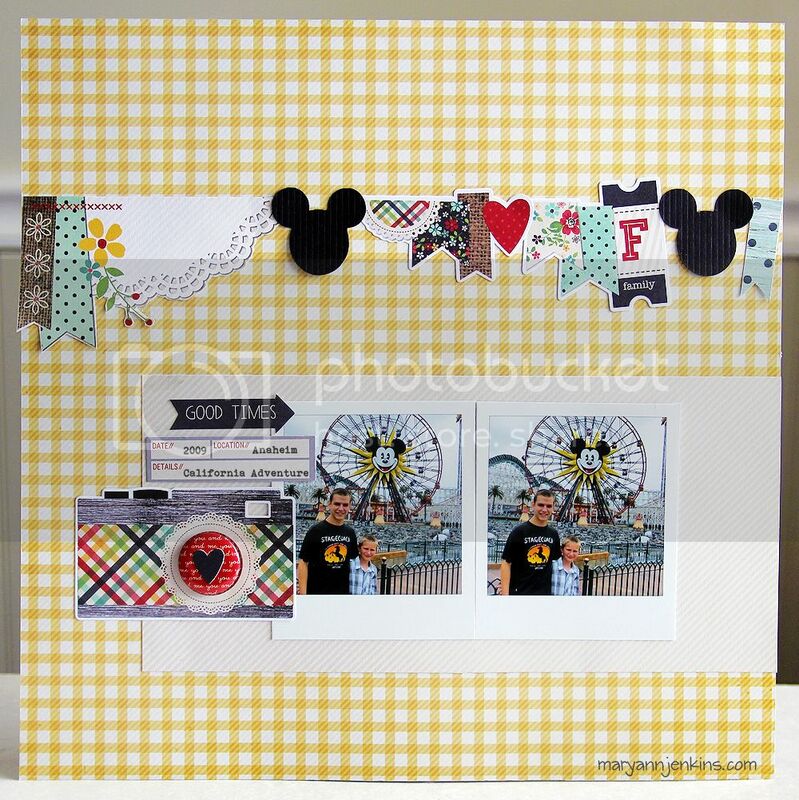 Awesome Disney layout, Mary Ann!! I love that cute banner you created!